...while others did the majority of their research on YouTube. 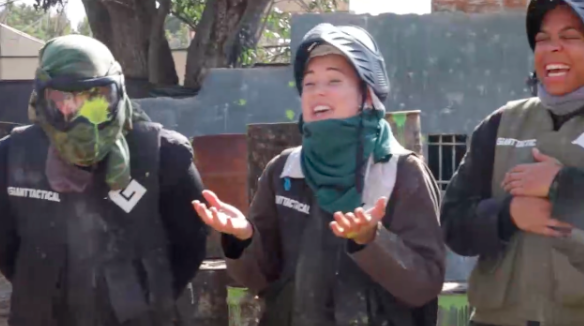 Facing the regular people crew would be four professional paintballers who called themselves the "LA Hit Men," which just... isn't intimidating at all. During the first round, the BuzzFeed crew wasn't quite warmed up... except for Courteney, who took out two of her opponents and was the last player left. Since the team wasn't doing too hot, we decided to send in some back-up and get our producers out on the field with them.